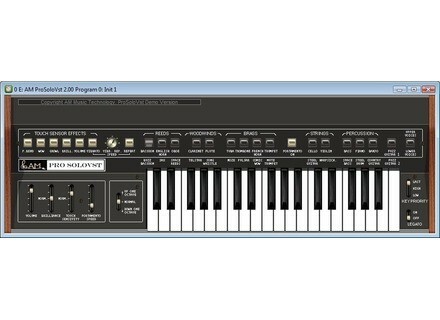 Pro SoloVst v2, Virtual subtractive synth from AM Music Technology. AM Music Technology has announced the release of version 2.0 of Pro SoloVst. Version 2.0 is available for Windows (VST) and Intel-Mac OS X (10.6+) (AU).